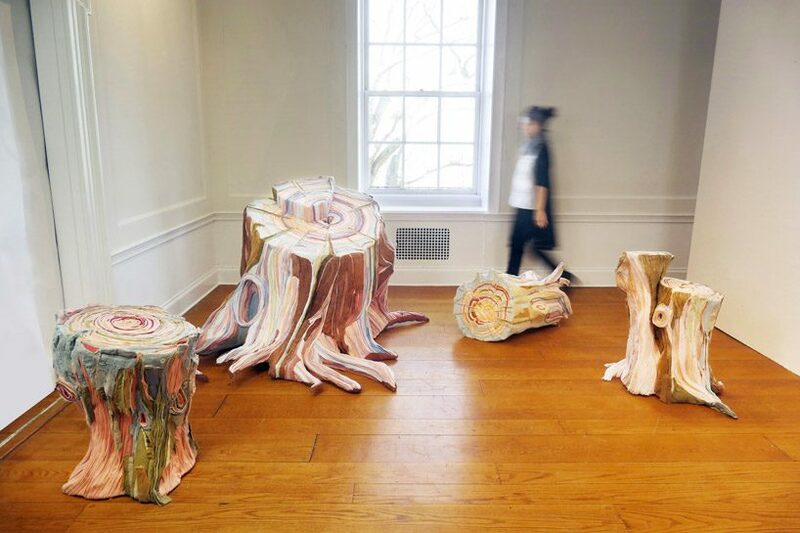 Intricately layered strips fabric create unique sculptures designed to resemble tree stumps by textile artist Tamara Kostianovsky. The strips are reclaimed from her late father’s clothing fabric to both commemorate his life and up-cycle old material by transforming it into works of art. Additionally, the choice to turn the fabric into tree stumps is rooted in symbolism of death to creation, returning to the earth and the environment after passing and the culture of the South American people of the Andes. 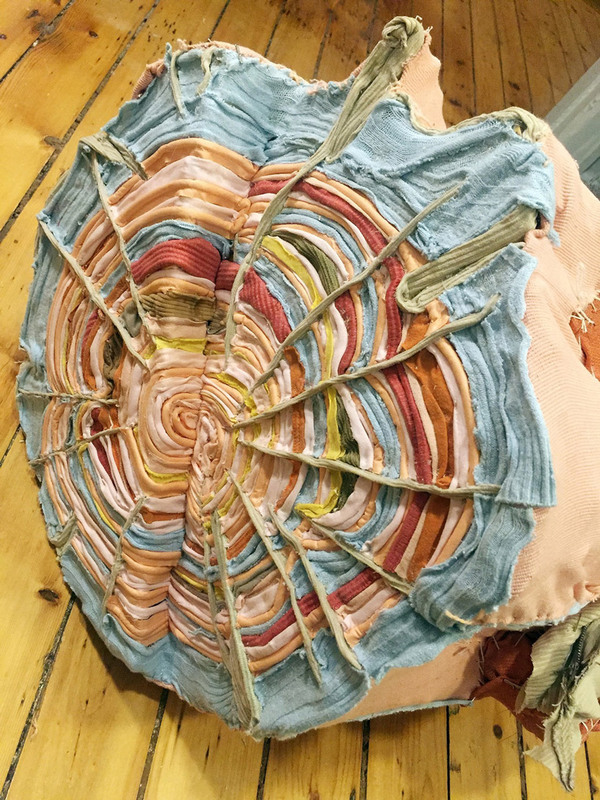 The result are colorful and detailed textile sculptures layered in misshapen concentric circles truly resembling the rings found inside of a tree after it is chopped down and the bark seen outside of it. Kostianovsky used her artwork as a means of healing combined with culture and her interest in nature. 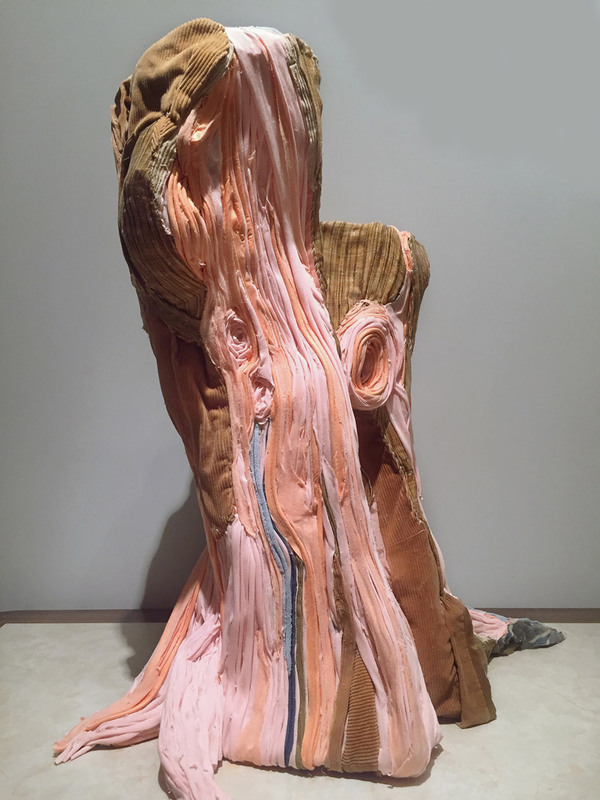 Following the tree stump textile sculptures, she currently creates pieces that resemble the anatomy examining muscle and bone brought forth while working at a surgeon’s office when she was younger. 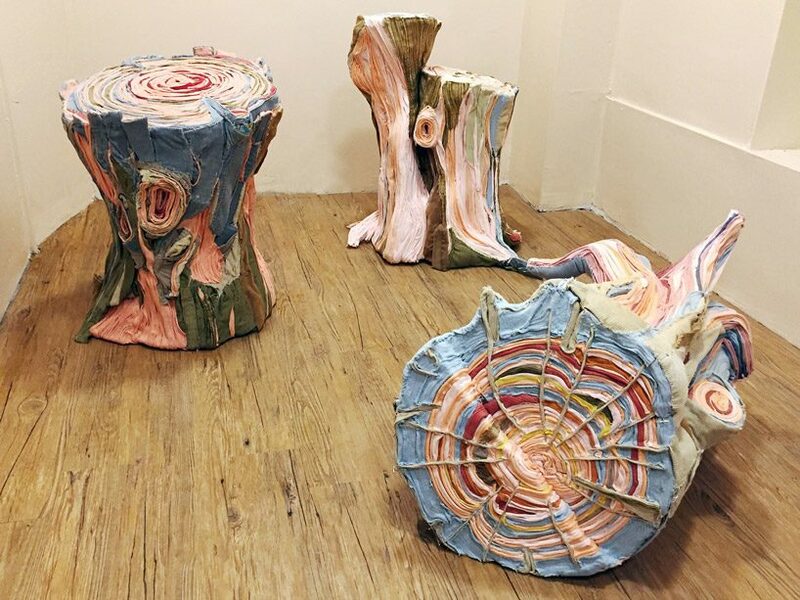 “Fusing the shapes of severed tree stumps of different forms and sizes to a palette indicative of the insides of the body, [the series tree stumps] pays homage to the cultural heritage of the people of Latin America, while presenting an alternative way of thinking about our post-industrial relationship to nature,” says Kostianovsky.